Reporting tools are the Analytics solution you will use to analyze your results at the end of your test. 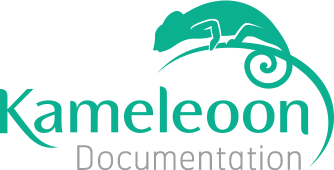 This article will help you to set up your tools, and show you how to define goals for Kameleoon reporting tool. To analyze and follow your A/B test, several systems are available. Kameleoon works with the Web Analytic solutions in the market (Google analytics, AT Internet, Webtrends, Adobe Analytics, Eurelian, etc.). To display the Integration age, login to your personal space on https://back-office.kameleoon.com. Use the left menu to go on the "Integration" page. On this page, you will find the list of all solution you can integrate with Kameleoon. Kameleoon reporting tool is already configured by default - so you will not find it in this list! - If the cross is displayed, the tool has not been set up; you will not be able to select it as reporting tool. - If "OFF" is displayed, the tool is set up but disabled; you will not be able to select it as reporting tool. - If "ON" is displayed, the tool is set up and enabled; you will be able to select it for the selected website(s). Click on the tool of your choice to set it up and add it to your integrations. When the menu is unfolded, click on the "Activate tool" button. Select the website(s) on which you want to set up the tool on the left. On the right part, fill in the setting fields, specific to the selected tool. Finally, click on the "Validate" button to add the tool. To disable a tool, simply unselect all websites on which the tool is configured. On the contrary, to enable a tool, select one or several websites on which you want to configure it. To use Kameleoon reporting too, you must define a conversion goal. It is the goal you want to improve with your A/B test. To create a new goal, go to the "Goals" page. Then, click on the "New goal" button to set up your new goal. Select the website for which you want to create a goal, then the type of goal you want to create. Click on the "Next" button to go to the next step. If you want to create a click tracker, select the corresponding type of goal in the first select box. Indicate the URL of the page on which you want to create the click tracker, then press the "Enter" key to load the page inside the pop-in. Once the page is loaded, simply click on an element to create a tracker. The number of create trackers will appear above your webpage. - Send the results to integrations. For all types of goals, here is the advanced settings you will find. This options will allow you to select experiments for which the goals will be available. The goal will not appear in the goal list for all unselected experiments. If you do not select any experiment, the goal will be available for all of them. You can select experiments by name, experiment types (A/B testing or personalization) or tags. Please note that these category cannot be combined: you cannot select a type of experiment AND a tag for example. You can, if you want to, define a main goal for the selected website. This will allow you to have access to a global conversion rate for y our main goal. You can only define one main goal by website: to edit your main goal if there is already one configured, you must unselect the current main goal in order to choose a new one. Warning: this will not select automatically the goal for your experiments.